Boiled Arbi stir fried with onion, ginger and garlic. A side dish for Chapattis. Pressure cook the Arbi for 1 whistle. Cool, and remove the skin. Cut them into round slices. Heat oil in a non-stick pan and shallow fry them till light brown. Keep aside. Add the remaining oil and temper with the cummin seeds. Add the onion, ginger, garlic and green chillies and saute till light brown. Now add the tomato paste and saute for a minute. 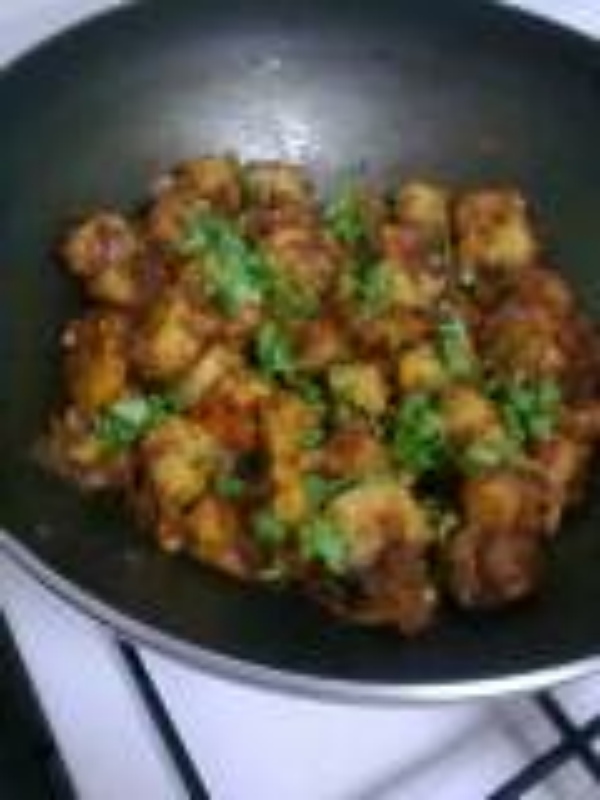 Add the fried Arbi, salt, turmeric powder and garam masala powder. Continue to saute for 2-3 minutes. Do not add any water. It is a dry preparation.